“At PCSOS, we deliver the benefits of an entire experienced IT department for one flat fee, at a fraction of the cost." “At PCSOS, we deliver the benefits of an entire experienced IT department for one flat fee, at a fraction of the cost. in the industry. Yes that’s how long we have been around for. Our partnership means you gain 10 years of experience garnered, leveraged instantly to solve your company’s IT needs. PCSOS is a technology services company specializing in managed services, infrastructure provisions & maintenance for small to medium enterprises. We deploy and manage infrastructure like security appliances, servers & workstations, routers, switches, wireless devices, mobility and many other components found in small to medium enterprises. Everything we do is guaranteed under an SLA and backed by professionally certified engineers. 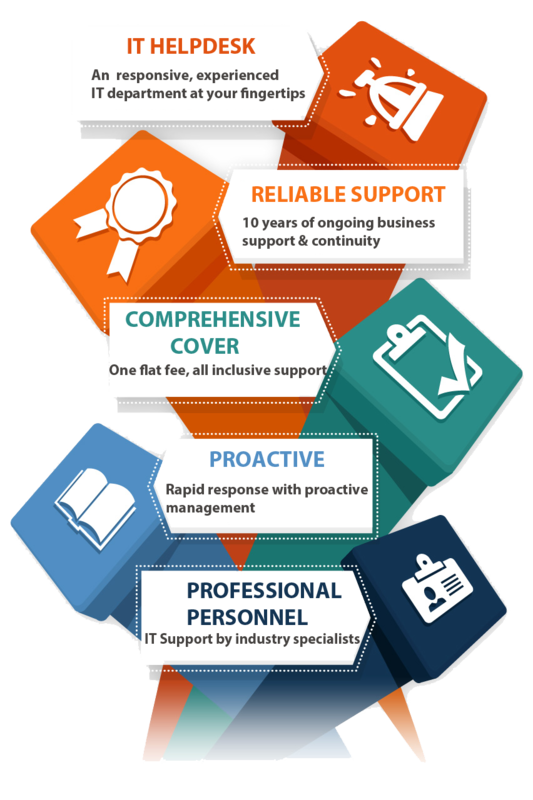 Get IT support Packages and Managed Services Now! PCSOS’s Managed IT Support Package is one of the most comprehensive & reliable IT support that you can get for your company today. Designed from the ground-up to be pro-active and all-inclusive, it is meant to completely replace the functionality of an in-house IT department at a fraction of the cost. We custom tailor every package to each individual client. Our package costs are transparent and there are no hidden fees. You are assured a professional and competent service catered to your requirements.